I’m sorry I’ve been away so long. I’ve had some health problems this summer and spent way too much of it in my pyjamas. In my defence, they were very nice pyjamas, but not really worth talking about on a fashion forum. Hence I’ve been caught somewhat on the back foot by the changing weather. I usually enjoy dressing for the transitional season, but there’s always a week or so when I don’t quite know what to reach for, even more so when I haven’t been getting out much. This is when I have to trust my instincts, falling back on some established formulae as well as testing out some new styles. The budget had a hammering earlier in the year (prescription sunglasses and a new handbag) so not much room to splurge but I did manage to add a few inexpensive essentials and I’m finding new ways with existing items and a slightly different hairstyle. So here’s a preview of the new direction, which doesn’t stray terribly far from the old one, but it’s feeling sharper in some areas, softer and more refined in others, but still quite unfinished in places. Random thought: Suz and skylurker both mentioned elsewhere that dressy menswear felt more “feminine” to them. I feel the opposite - these two looks are a case in point. Interesting how that plays out. 1. An old blazer from Jil Sander +J for Uniqlo, still my high water mark for mass market designer collaborations. It’s a great fit but the mossy green is not my best colour. I’m liking this year’s embellishment trends so I added some sequin appliqué. As for the outfit, I loved it on the day, but looking at it now I’m cringing at such an obvious throwback. This is pure 1980’s Camden Town, and I know this because I was there. I’m regressing, clearly. 2. I love this grandpa cardigan from Henrik Vibskov. I’ve had it ages and it’s impossible to style without looking sloppy but I don’t care. It’s reasonably flop-proof over a black and white printed tee, but I don’t think I’ve ever done better than Edvard Munch. Random thought: last year’s Style Lab exercises helped me focus more sharply on what my closet really needs, and how to shop for updates. The skirt in particular is a great addition, because it’s got me reaching for my other skirts too. I fully expect to wear skirts more this winter. 3. I went for a skirt and bag from the JW Anderson + Uniqlo collection. Both are pulling their weight, both are great for the price, (as good as +J? Dunno.) Here with last year’s boots and a leather/wool sweatshirt I made ages ago. 4. This black scuba knit tee with pastel shoulder insets from &OtherStories is one of the most useful things I’ve bought this year. Great for my body shape, goes with everything. I wish I’d bought two of them. The skirt, boots and fleece (Uniqlo again, haha! Are you seeing a pattern here?) have been around a while. Random thought: this is my personal danger zone. The risk of keeping a large wardrobe as a working resource is that it can very easily turn into a museum. I have some outstanding pieces here which I love dearly but are irrelevant as fashion items in any given year. My instinct is always to hold onto them until the moment they’re wearable again, but I can’t always wait for that to arrive. 5. 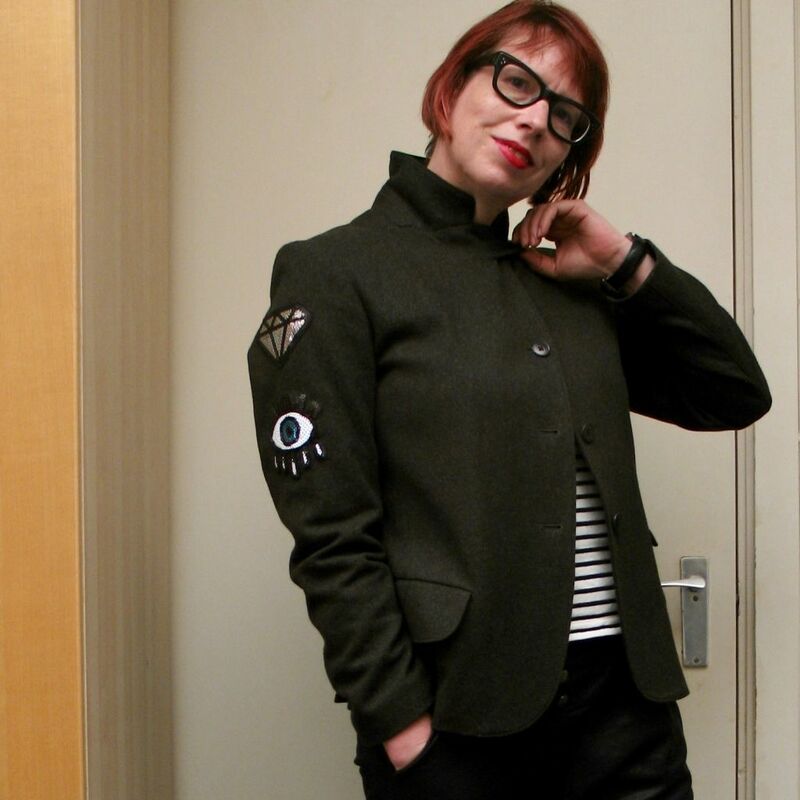 I love this ’80’s vintage Kenzo jacket and I’ve worn it quite a lot. 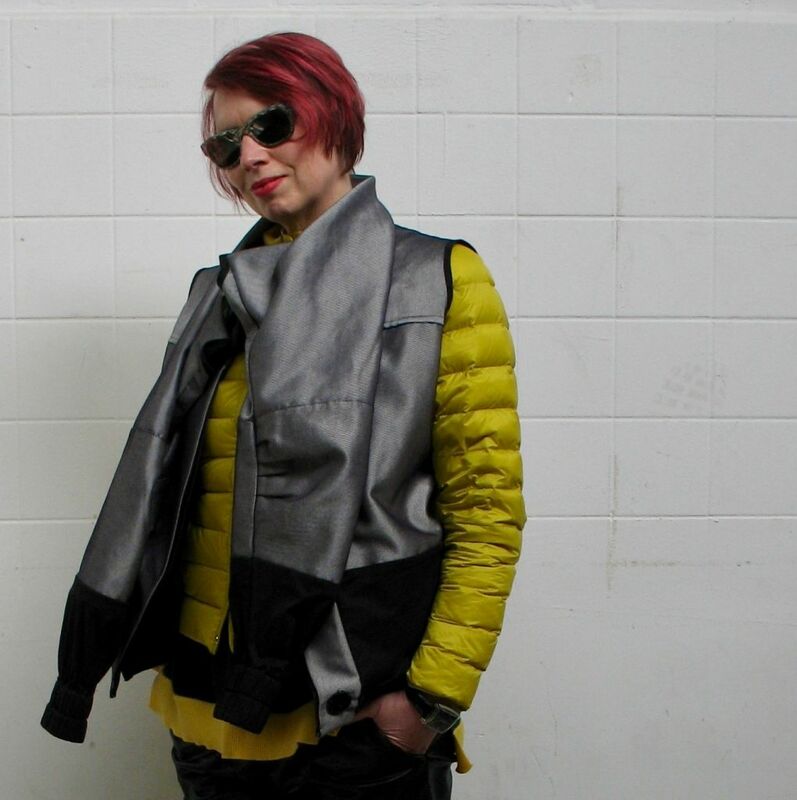 This is a prototype look for the coming season, layered over a lightweight down jacket. I’d like to wear it again this year but probably not like this. I think I can make it work one way or another. Maybe with a full midi skirt? 6. Granny takes a trip indeed, I had a major Westwood moment in my pyjama bottoms (see if you can guess where I bought them) with the pirate boots and Anglomania blouse. Two more pieces I love and enjoyed in the moment but should probably bench for now. What are your thoughts? Your honest feedback is most appreciated.